"Ceramics and painting are for my enjoyment. My main concern is to develop my artistic talents to the best of my ability - not to worry about 'sale ability.' Sometimes I can get caught up in what the 'public wants' and forget that I want to enjoy the process of creation. 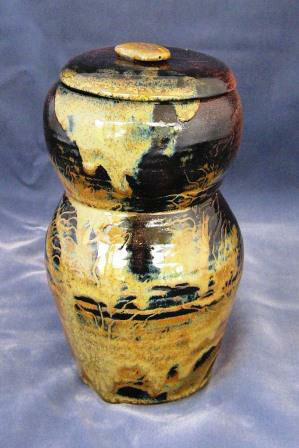 "Ceramics is much more of a challenge to achieve results that can be anticipated. In fact is always a surprise when I open the kiln after a glaze firing."